Mark Sedon (49) is an internationally qualified (IFMGA) climbing and ski guide with over 25 years of experience. 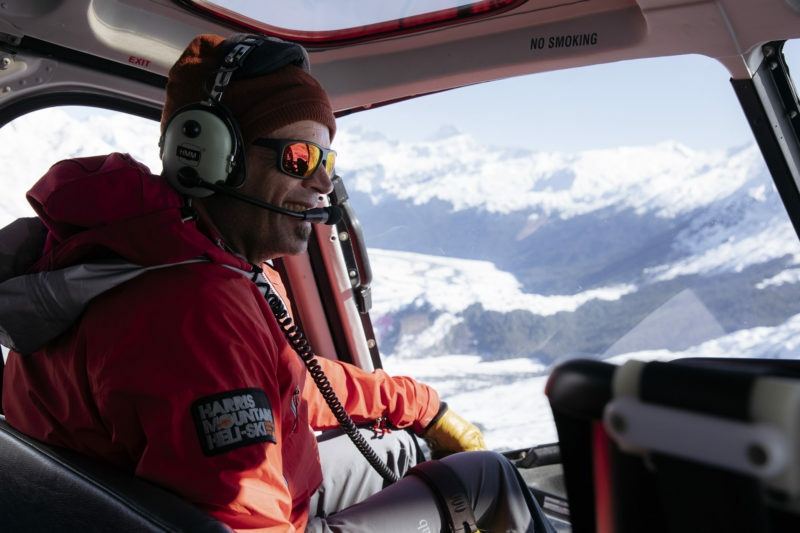 He is a senior lead guide for Harris Mountains Heli-ski, New Zealand’s largest heli-ski company and was the first person to climb the Queenstown Lakes District’s 18 mountains over 2500m, all with skis and he made several first ski descents while he was at it. Mark has guided 20 Himalayan ski and climbing expeditions including summiting Mt Everest and also been on eleven ski and climbing expeditions to Antarctica including being a member of the recent 2,000km kite ski and climb of The Spectre. He’s guided in Europe, Alaska, the Arctic, South America, Indonesia and extensively in NZ amassing around 40 full time winters on skis including several Northern Hemisphere winter ski experience in places like; India, Utah, Canada, Japan, Europe, Greenland and Austria. Mark is a respected avalanche forecaster and has taught courses at all levels, from beginners to professional guides. He’s an approachable, enthusiastic guide who is driven to deliver good quality enjoyable skiing, safely. He wrote and supplied photos for his book on Classic Rock Climbing in NZ and co-wrote Adventure Consultant’s Climbers Guide. Mark is a senior guide for Adventure Consultants on skiing and climbing expeditions all over the world. Mark is the Festival Director of the NZ Mountain Film Festival Charitable Trust and also a well regarded motivational speaker. He’s a passionate kitesurfer, paraglider, ski mountaineer, biker and all round adventurer…. Mark is an Ozone brand ambassador.